예수 그리스도의 재림과 요한 계시록 20장의 천년: 우리는 이것을 어떻게 이해해야 할까요? The following is the introduction to a sermon I recently preached at Providence Canadian Reformed Church. Lord’s Day 26 was the Catechism lesson. This afternoon we’re looking at the sacrament of baptism. There are many wrong ways of thinking about baptism. The errors tend to go in one of two directions. In one wrong direction, people say too much about what baptism does. We can think about the Roman Catholic Church here. For them, baptism washes away all sins and puts one in a state of grace. That’s saying far too much. But there’s another wrong direction where people say too little about baptism and what it does. 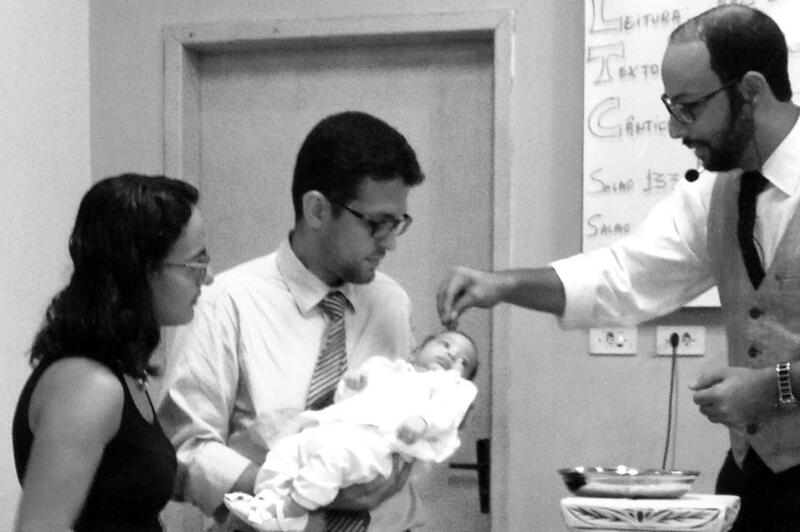 For many Christians, baptism is just a statement to the world. That’s saying far too little. So there are these two wrong directions that one could go: ascribing too much to baptism or ascribing too little. Overstating it or understating it. We want to avoid the extremes and find the biblical balance, saying just what God says in his Word. Our Catechism helps us to do that. It helps us by pointing out that baptism is a sign. Like any sign, it points to something. Right there you see that there’s a little warning against saying too much about baptism. No one who understands what a sign is confuses it with what the sign points to. No one would confuse a sign that says a certain city is 50 km away with the city itself – that would be foolish. We say that there’s a difference between the sign and the thing signified. But baptism is also a seal. A seal is like a guarantee – it’s something you can count on, depend upon. When a king puts his seal on a decree, you know it’s genuine and you know it can be trusted. Right there you see that there’s a little warning against saying too little about baptism. If baptism is a seal, there’s something very significant going on when it’s administered. Someone is saying something weighty. What baptism signs and seals are the benefits of Christ. As a sign, baptism points to what Christ has done, especially in his death on the cross. As a seal, baptism says that God makes certain promises in relation to what Christ has done – promises which are trustworthy and dependable. This afternoon we’re going to explore all this further. It’s important that we be clear about baptism and what Scripture says about it in general. We’re going to see that holy baptism signs and seals the benefits of Christ. One of the most popular pages on Yinkahdinay is this resource with themes and divisions for preaching on the Heidelberg Catechism. I’m beginning to roll out version 2.0 of this resource. You can see an example here with Lord’s Day 4. I’ve added some new themes, but also added the Bible readings where I can. The update to the new version is going to take some time. I will generally work on this project as I work my way through the Catechism in my own preaching, so please be patient. I hope this resource can continue to be helpful for my colleagues and others who are called to teach or preach the Catechism. When Jesus said, “Our Father in heaven,” he was not introducing something new to Jewish ears. In the Old Testament, the word “Father” is found several times in reference to God. When it’s found in the Old Testament, the word “Father” refers to Yahweh. The word refers to God in himself, not as the person of the Father distinguished from the Son and the Holy Spirit. A good example of this is in Malachi 1:6. God is rebuking his people there. He says, “A son honours his father, and a servant his master. If then I am a father, where is my honour?…” God is a Father to his people. There, the word “Father” is being used in connection with Yahweh’s relationship to his people, not to the relationship between the persons of the Trinity. This is the pattern of the Old Testament usage of the word “Father” for God. It refers to Yahweh.